The White’s Goldmaster 24K is now in stock! 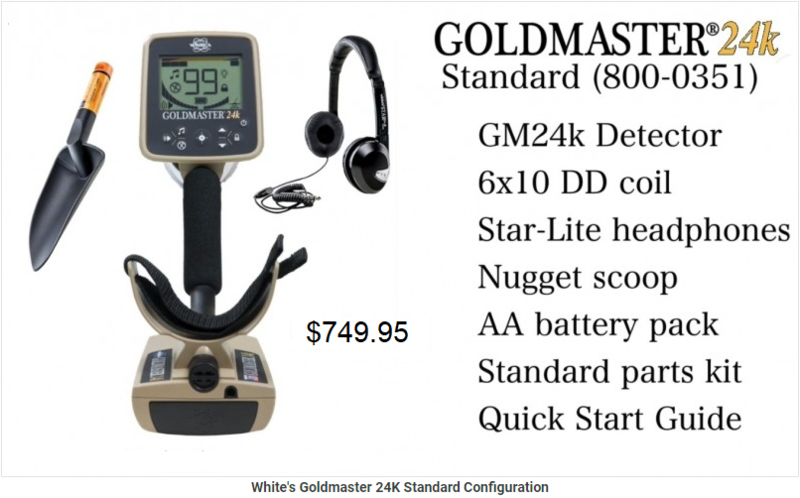 The Goldmaster 24K is a White’s GMT updated for the 21st century with advanced ground tracking technology and increased power. 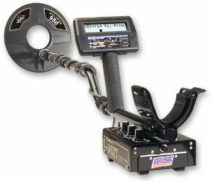 XGB technology is a patent-pending automatic ground balance system. 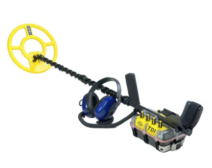 It is purpose-built for operating a high-frequency VLF gold nugget detector in the worst ground conditions. 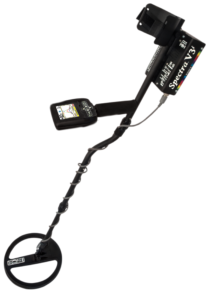 Traditional VLF detectors struggle to balance rapidly changing ground mineralization. 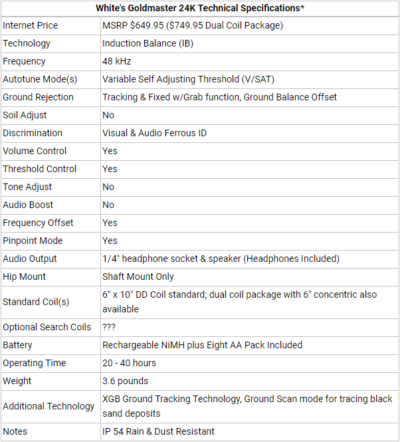 Historically this has been where Pulse Induction machines fared much better. The White’s GMK announcement is so new that there are sure to be changes and updates to this page very soon – all information and specifications are subject to change! 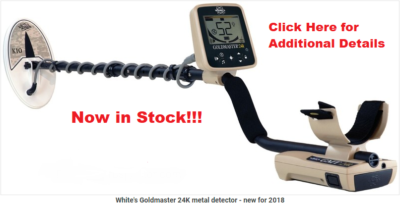 The new White’s Goldmaster 24K also features a full backlit LCD target id screen and control suite. The potential target id is displayed on the screen whenever possible – the higher the number, the better the chance of a non-ferrous target. There is dual tone capability that reports a low tone for ferrous objects, and a high tone for all non-ferrous targets. IRON CANCEL – Tap to silence hot rocks, trash and mineral changes in both audio modes. Hold to select the Iron Cancel setting (1 bar is default). 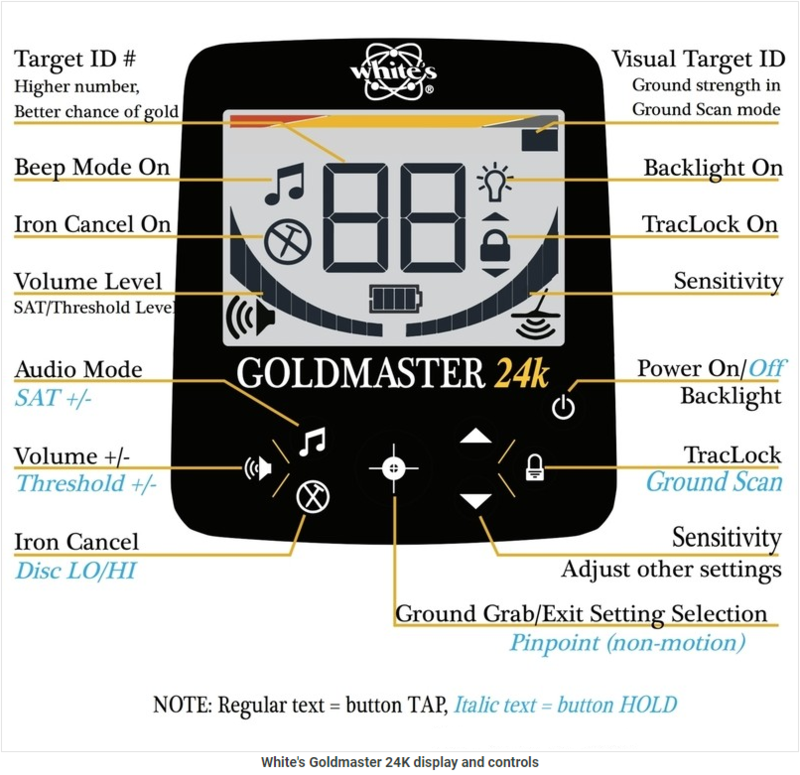 Note that this setting may decrease the detector’s sensitivity to very small gold, but is necessary in difficult ground conditions. VOLUME and THRESHOLD – Tap to adjust the volume with the up and down buttons. Hold to adjust the threshold with the up and down buttons (“th” displays on screen). 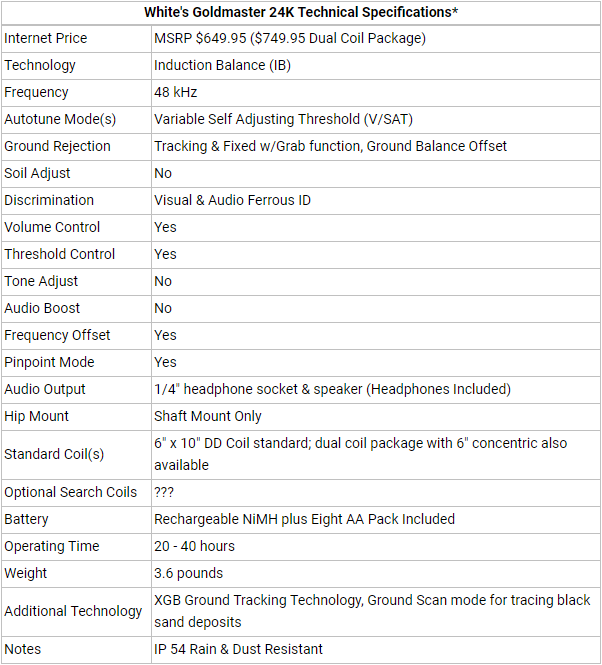 Set these to a comfortable level for your hearing and preference. 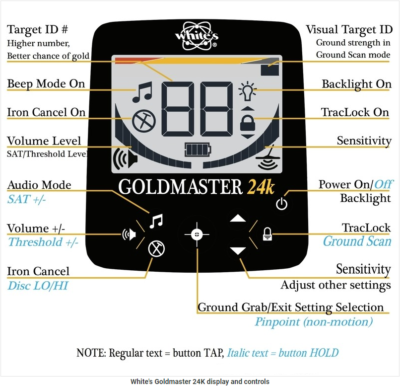 FACTORY RESET – Hold when turning the detector on to perform a factory reset.